I’ve written before about how Steam Highwayman I and II are both based on Ordnance Survey Maps in the Explorer series – specifically OSE 171 and OSE 172 But in fact these are more than just inspiration. The nature of Steam Highwayman as an open-world gamebook, like Fabled Lands before it, depends on having a network of locations and routes between them on which to string the various encounters. Once I had decided which towns, villages and locations I wanted to feature, I then drew these out onto a simplified map and began allocating pages. These first two books are really built around these maps. 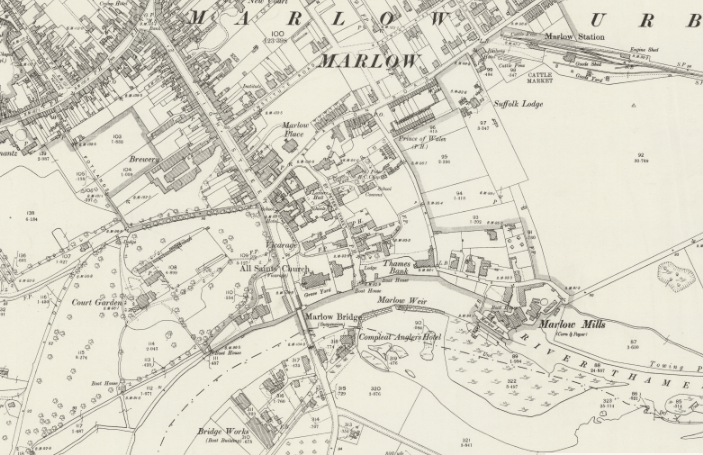 For example, here’s a shot of Marlow in 1897 – a bit late for Steam Highwayman, but fascinatingly Victorian and basic. 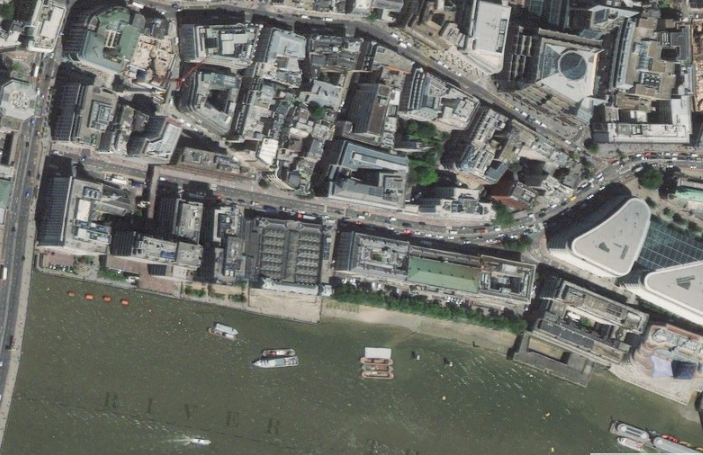 Compare it with the modern satellite image beneath. 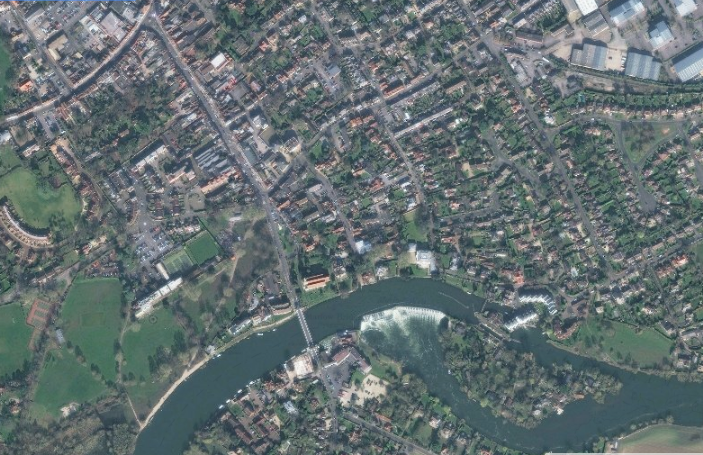 The difference isn’t massive – in fact, if you visit Marlow, you can feel a bit like you’ve travelled in time. There’s more development to the west, but very few buildings have been replaced. But now look at London. Steam Highwayman III will be set in central London, and nowhere has changed in the past hundred years more than the city of London. The alleys and garrets and markets and old churches and tunnels and tenements… Oh wow. Much more exciting than the ridiculous post-modern glass and sliced-granite banks that occupy an entire block. Now Steam Highwayman isn’t set in a real past – but it’s purposefully set in a realistic past. My conceit is that I can take a England that was real in around 1785 – when Prince George married Maria Fitzherbert, if you want to know – and imagine a similar but parallel historical development from that point. This is called the ‘departure point’ in the study of allohistory, or alternate history, which is really a sub-genre of science fiction or speculative fiction. So having maps that strip back England to a pre-electric age, before urban sprawl and before the petrol engine, doesn’t have to restrict me but can inspire me. When I made the first Steam Highwayman map I began by taking the map of Marlow and the surroundings and removing all the A roads and motorways, imagining that the highways and holloways and tollroads became more important, rather than being superseded by carriageways that crush and swerve and… Well, perhaps you get the idea that I am quite an old-fasioned sort when it comes to roads. In this respect, Steam Highwayman is my fantasy about an older, slower, kinder England with no bypasses. And the old maps of the National Library of Scotland do the whole job for me- with a pleasing sepia tone. Go on – see if your house was built in 1897. 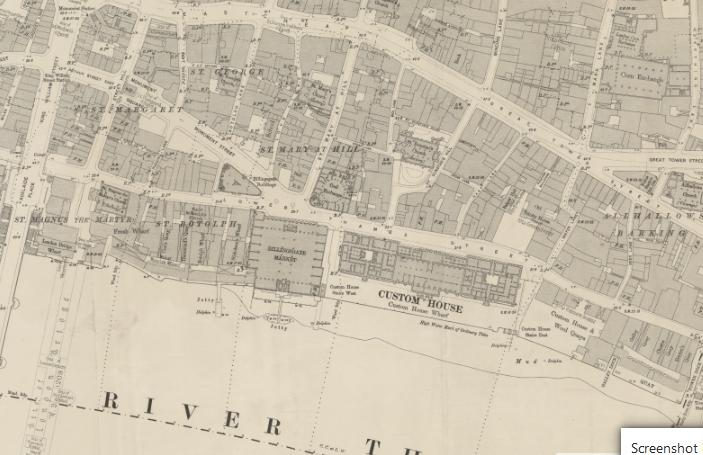 The London maps come down to an amazing scale, at which the owners of businesses and even houses are named. Incredible.